Page title: Do Breast Cancer Screenings Do More Harm Than Good? On January 3, 2019, we published an excerpt from Conspiracy of Hope: The Truth about Breast Cancer Screening. In her book, author Renée Pellerin challenges the medical usefulness of early detection for fighting breast cancer and argues that annual screening present risks that are rarely shared with women. Several days later, we received responses from two doctors working in the field. Both felt that Pellerin had dangerously mischaracterized the available research around mammograms. We have published their letters below, followed with a response from Pellerin. The Walrus magazine does its readers a disservice by publishing an excerpt from Renée Pellerin’s book, Conspiracy of Hope (“The Shaky Science of Breast Cancer Screening”), without inviting expert commentary. As presented, I worry it may dissuade women from breast-cancer screening, prompt women with high-grade DCIS (or Ductal carcinoma in situ) to decline therapy, and cost lives. She tells the story of a woman with widespread high-grade DCIS and implied that she was overtreated for a “precancer.” This woman’s expeditious therapy may have saved her life. It’s called high-grade cancer because it tends to grow and spread more quickly. DCIS covers a range from low- to high-grade, and as Pellerin points out, research currently underway to determine whether some low-grade DCIS can be treated with active surveillance, as is now common for low-grade prostate cancers, is overdue. But until the research outcomes are known, treating physicians should not be criticized for following the prevailing standard of care. Pellerin cited a study by Steven Narod and his colleagues and claimed their study showed good outcomes for all women with DCIS, “regardless of how the women were treated—lumpectomy with radiation, lumpectomy without radiation, or mastectomy.” Readers need to realize that all the patients were treated and it was not a randomized trial. Whether they had lumpectomy or mastectomy was not a coin toss. The surgeons based their therapy on their patients’ personal situations, including the grade and extent of disease. Smaller sites of DCIS are suitable for lumpectomy. Mastectomy is most often recommended when the size of the involved tissue is too big to remove and still have a good cosmetic result. My worry is that the take-away for Walrus readers will be that DCIS doesn’t need treatment. High-grade DCIS can have a worse outcome than a small invasive cancer. Narod and his colleagues found in their study that 54 percent of women who had DCIS and died of breast cancer over the course of twenty years did not experience invasive cancer in either breast. This led him to suggest some theories for why. László Tabár’s work might provide the real explanation. 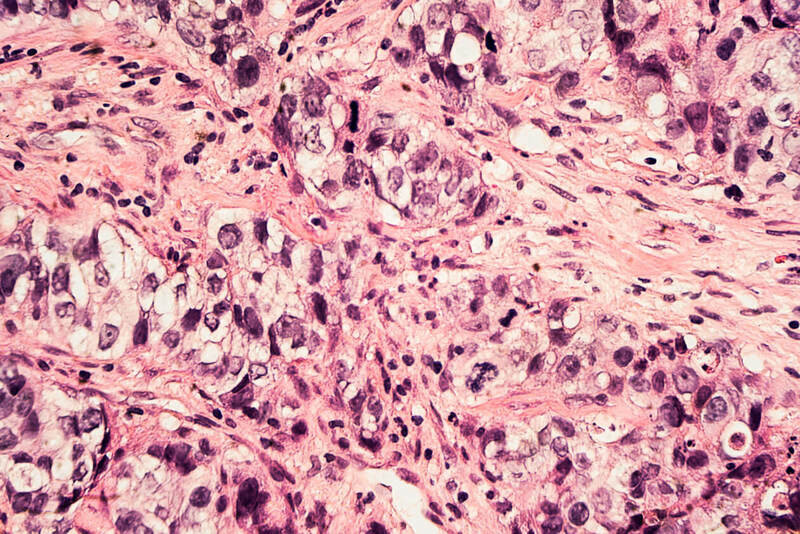 He and his pathology colleagues have observed that so-called high-grade DCIS may really be invasive cancers with “neoductgenesis.” Separately, it’s important to note that in North America our pathologists use small-field thin-section histology for reading breast cancer pathology slides, and an MRI is not typically performed. It’s possible, therefore, that there could be an invasive component that isn’t seen. Narod co-authored a paper in 2014, in which the conclusion was that the local recurrence rate for DCIS was similar to that of invasive cancer, that that women with DCIS should be offered the same treatment options as women with small nonpalpable stage I breast cancers, and that use of the word cancer is appropriate for DCIS. The women with DCIS in that study who were less likely to receive radiotherapy and tamoxifen (a cancer-fighting medication) had a higher recurrence rate than women with invasive cancer who received treatment. Pellerin overemphasises the likelihood that screening will detect cancers that will not become lethal. A review of European case studies, which were rigorous in their methodology, found that the range of overdiagnosis was only 1 to 10 percent. Pellerin also stated, “Narod’s opinion is that early detection doesn’t work.” Nowhere did she state that new research shows that women who have screening are 60 percent less likely to die of breast cancer over ten years and 47 percent less likely to die over twenty years. Personalized screening—which tailors a woman’s screening schedule to her breast cancer risk—is the ultimate goal, but we should proceed cautiously. Roughly 75 to 80 percent of breast cancers occur in women with no known risk factors, and multiple studies have shown that with “risk-based” screening, at least two-thirds of cancers would not be found early. We know that screening starting at the age of forty saves the most lives—this is what we should continue recommending until we have criteria to determine which women are at sufficiently low risk that they can delay starting or be screened less often. Although much of the excerpt appears well reported, I think her choice of sources to quote indicates a bias against cancer screening. As well, her message appears inconsistent. On the one hand she represents DCIS as a “noncancer,” while on the other she suggests (without explaining how this could occur) that somehow (without becoming invasive) it can spread to the rest of the body and kill. I find that the most reasonable explanation is that DCIS sometimes progresses to small undetectable invasive cancers in the breast that are not found until they have spread elsewhere. It is often difficult to tell if DCIS will be aggressive or not, but it is impossible to tell until it has been detected and a small specimen examined under the microscope. Importantly, many small, invasive breast cancers are only found because they are accompanied by DCIS, which is more easily detected on a mammogram because of calcium particles in the tissue. Find the DCIS and you find the invasive cancer. Pellerin is correct that “the natural history of DCIS is poorly understood” and that management and diagnosis of it are highly complex, but until we can prevent breast cancer, we should continue to try to detect it earlier. Is Pellerin advising women, by skipping screening, to behave like ostriches and bury their heads in the sand to avoid receiving the difficult information that they have a cancer or a precancer? Or should they have the opportunity to have that cancer detected earlier to reduce their chance of dying or of having to go through mastectomy or chemotherapy? Currently, mammography screening (possibly with additional ultrasound or MRI for some women) is a proven method to reduce deaths by earlier detection. And modern pathology techniques are the only tools available to try to determine which cancers (DCIS or invasive) will be aggressive and potentially lethal. Instead of scaring women away from screening, as Pellerin seems to be doing, and risking more treatment of advanced-stage disease and deaths, wouldn’t it be more helpful to focus on her other suggestion—to provide better information about the current uncertainties so that women and their health providers can make the best decisions for each individual and the specifics of her disease in the face of that uncertainty? Ultimately, the decision to have her cancer treated aggressively, conservatively, or not at all is up to the woman herself. To make that decision, she deserves to have the best information available. Steven Narod, whom Pellerin quotes to argue against screening, wrote in 2014: “Women with DCIS should be offered the same treatment options as women with small (invasive) breast cancers. Furthermore, when discussing options, use of the word ‘cancer’ is appropriate.” These cancers will only be found by screening. Hon. DSc senior scientist, Physical Sciences Tory Family Chair in Cancer Research, Sunnybrook Research Institute. I welcome the opportunity to respond to Martin Yaffe and Paula Gordon, both respected for work in their respective fields and both unwavering advocates for screening women annually beginning at age forty. It should be noted that this view is not reflected in most of Canada’s breast-screening programs, nor in Britain’s screening programs, nor those in many parts of Europe; annual screening for all women under fifty is not supported by either the US Preventive Services Task Force or the Canadian Task Force on Preventive Health Care. On the spectrum of opinion about screening, Yaffe and Gordon are at the extreme end, while public policy is mostly in the middle, recommending that women be screened every two to three years, beginning at age fifty. Why? Because independent reviews of the research have concluded that the benefits of screening women in their forties do not outweigh the harms. Contrary to what Yaffe implies, I do not anywhere in the book advise women to not get screened. It is not my role to tell women, or their doctors, what to do. What I propose is that women should have the chance to make informed decisions based on a good understanding of the balance between benefit and harm, rather than on simple messages that downplay any risks associated with screening while inflating the benefits. Many reviews of randomized screening trials have concluded that the benefits of screening, at any age, are moderate. More recent observational studies have arrived at the same conclusion. But this is not always what women invited to be screened are told. For instance, Yaffe cites the statistic that breast-cancer mortality has dropped 44 percent since the advent of screening. The number is impressive. But that’s not the most important part of the story. The Canadian Cancer Society reported in 2018 that mortality had dropped by 44 percent since a peak in 1986. Screening in British Columbia began in 1988, but in the rest of Canada, it did not begin until 1990 or even later. So it seems that mortality began to decline even before screening began. And the question is, 44 percent of what? That single number doesn’t tell you how many people die. According to the Canadian Cancer Society, in 1988 the breast-cancer mortality rate was 41.7 deaths per 100,000, and in 2017, the projected rate was 23.2 deaths per 100,000. The difference represents a reduction of 18.5 deaths per 100,000, which relative to 41.7 is 44 percent. But also consider that 18.5 deaths is 0.0185 percent of 100,000, meaning that the reduction in mortality is less than 0.02 percent. This is not to say the improvement is unimportant, but when you look at the real numbers this way you get a different perspective. Finally, screening can’t take all the credit for the improvement. Many researchers point out that a new wave of drugs to treat the most common form of breast cancer, the earliest of which was tamoxifen, came into widespread use in the 1980s and had a far bigger impact on breast-cancer survival. Here is a Statistics Canada finding that you won’t find anywhere in an invitation to a screening: only one in thirty-one women will die of breast cancer. It is true that breast cancer is a leading killer of younger women, and it is natural that we fear it. But the kind of information women currently receive from breast-screening advocates plays on that fear and exaggerates the risk. It also minimizes the harms. Gordon refers to new research that indicates women screened are 40 to 60 percent less likely to die of breast cancer than women not screened. I deal with one such Canadian study at length in my book, outlining some of the limitations inherent in the methodology. We should examine the vast body of work indicating that the benefits of screening are much more modest, and we should encourage women to make informed decisions. February 22, 2019: This article has been edited to clarify that the US Preventive Services Task Force does not support mandatory screening for all women under fifty.